The efforts of WB building the DC Universe streaming service reaches new plateaus with news of the coming series – Doom Patrol. 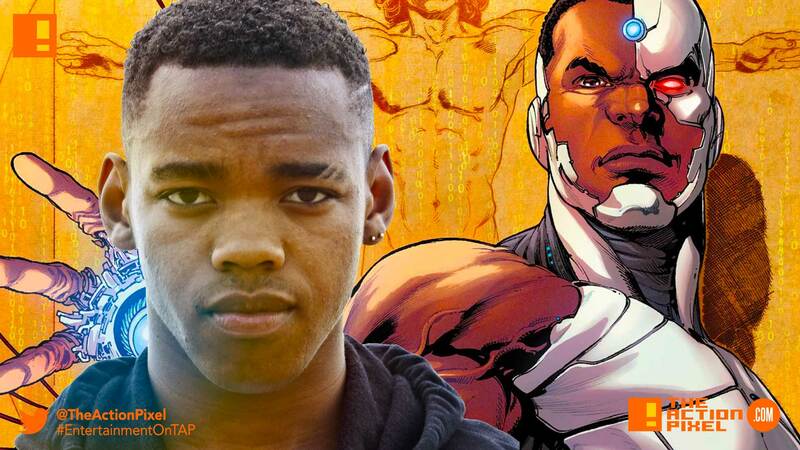 Actor Joivan Wade, known for his role in the First Purge movie is set to portray Cyborg aka Victor Stone in the coming series. In Doom Patrol, Victor Stone — who is hooked in to every computer in the world but struggles with the human side of connection — will assemble a group of outcasts (Robotman, Negative Man, Elasti-Woman, Crazy Jane and their leader, mad scientist Dr. Niles Caulder) for a mission to the weirdest corners of the DC universe. DC Universe is set to launch in the fall and will include original streaming series (with Titans first out of the gate), live-action and animated series and films from DC’s catalogue and a curated selection of new and classic DC Comics. The service’s original series also include a live-action Swamp Thing and the animated shows Young Justice: Outsiders and Harley Quinn.